Browse the largest collection of annotated astronomical images on the internet. 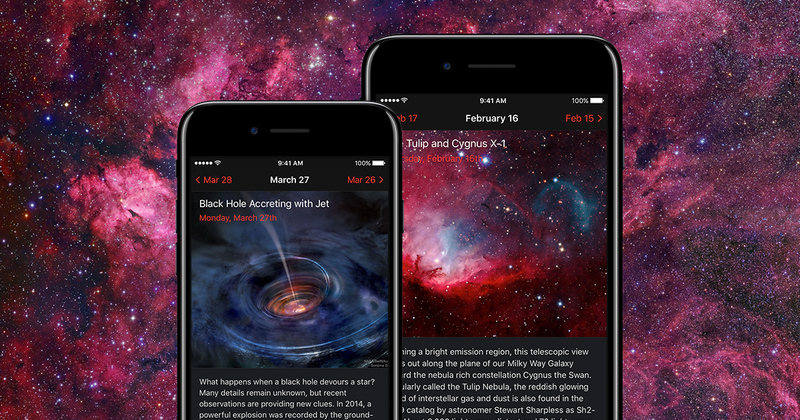 Astronomy Photo of the Day (APOD) is an iOS app for browsing the largest collection of annotated astronomical images on the internet. Each day a different image our fascinating universe is featured, along with a brief explanation written by a professional astronomer. Download and save high-resolution images directly to your photo library. Easily share these images with your friends on Facebook and Twitter.